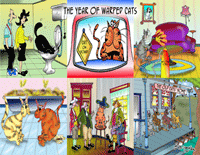 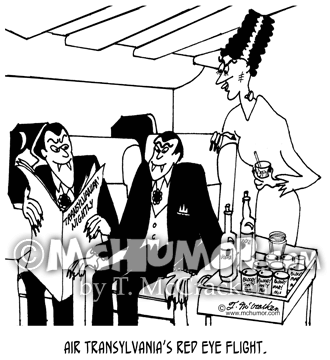 Europe Cartoon 3157: "Air Transylvania's Red Eye Flight." 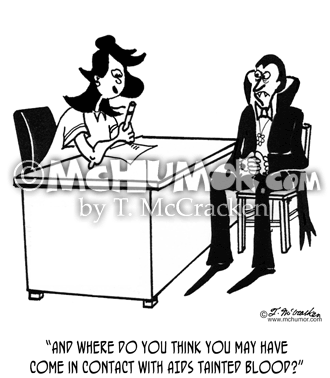 All of a plane's passengers are vampires. 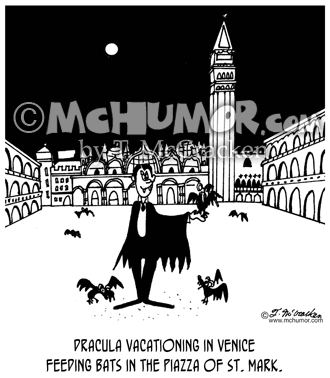 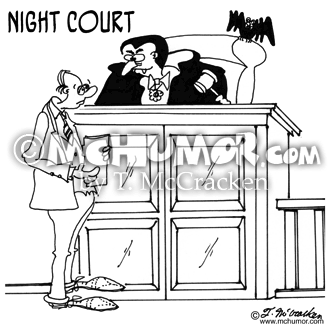 Europe Cartoon 3282: Dracula vacationing in Venice feeding bats in the Piazza of St. Mark. 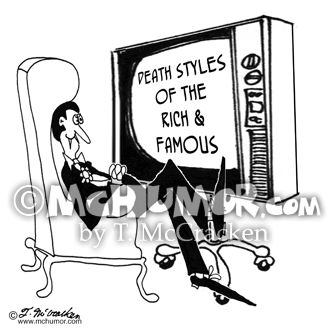 Vampire Cartoon 5712: A vampire watches a TV show, "Death Styles of the Rich and Famous." 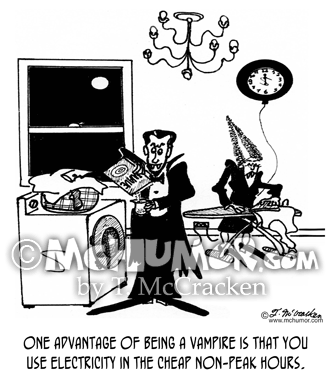 Vampire Cartoon 1609: A vampire's wife examining her laundry says, "Oh dear. 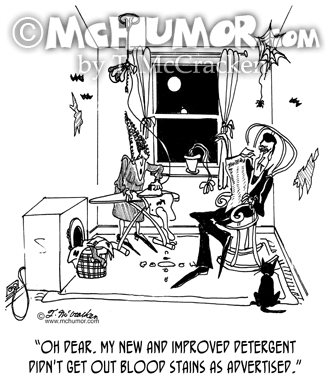 My new and improved detergent didn't get out blood stains as advertised." 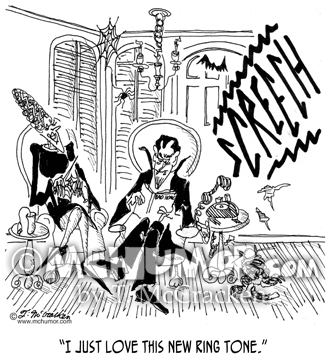 Vampire Cartoon 1427: As vampire's phone screeches his wife says, "I just love this new ring tone." 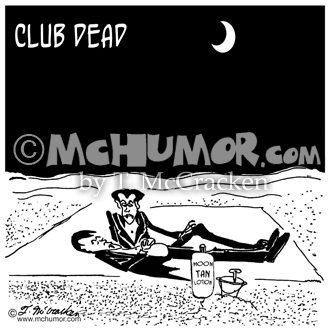 Vacation Cartoon 4364: Vampires vacationing at "Club Dead." 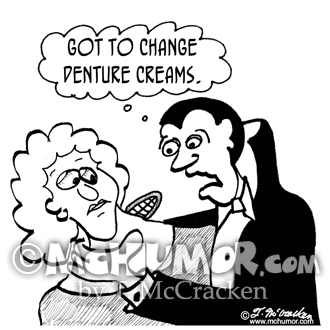 Medical Cartoon 2653: A nurse asking Dracula, "And where do you think you may have come in contact with AIDS tainted blood?"